The Oilers signed NCAA free agent winger Drake Caggiula ten days ago. 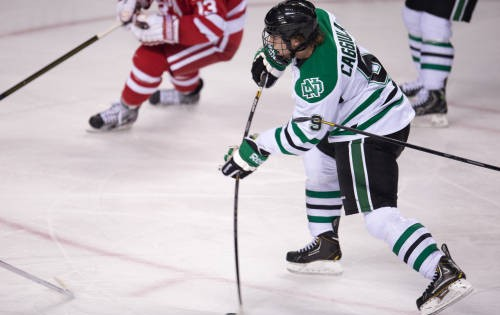 Caggiula capped off his four year career at the University of North Dakota by winning a National Championship. Caggiula improved every year and many NHL teams tried to sign him, but he chose Edmonton. Let’s find out why, and what type of player the Oilers added to their organization. Caggiula stands 5’10” and weighs 185 pounds. He isn’t big, but he goes to high traffic areas. “I think he is NHL ready right now. He skates very well, has great hockey sense, and he’s very competitive. He plays with a chip on his shoulder and plays better when he’s annoying the opposition,” an NHL scout told me last week when I asked for a scouting report. I spoke with Caggiula last week on my radio show, and what stood out the most for me was who he tries to model his game after. I discovered Caggiula is unlike any other small, skilled forward the Oilers have in the organization. You’ll see why when you read his response to who he models his game after. tweet ‘Love The Drake’ or ‘hate The Drake.’ We have some comics around here (laughs). the same. You had an opportunity to talk to a lot of teams as a free agent. What was it about the Oilers organization that had you choose them? couldn’t be happier with my decision. meet with the coaching staff or just the GM? with coach [Todd] McLellan as well. in well with this system. to make me a better player. successful at the NHL level? have to make sure I do everything a little bit better. of talent and I know you can’t go wrong with them. or not you start the year in the NHL or in Bakersfield’? they just said come into camp and you have the opportunity to make this team. and it depends on how my camp goes. League factor into your decision? my pro game and I’m looking forward to whatever the next step is moving forward. play the way that you normally do. you have serious conversations with about signing? kind of organization Vancouver is, I just felt more comfortable with Edmonton. describe your game as similar to for Oiler fans who haven’t seen you play? that I definitely try to model my game after. a pest like Marchand? Oiler fans haven’t had a guy like that in a long time! but I definitely flirt with it sometimes. some repercussions. Are you prepared for those repercussions in the NHL? coming to part of the rookie camp in the summer? stay a couple of weeks and do some training there as well. you alter your training to try and have your body used to more wear and tear? Can you do it? you work with the managers, and the trainers in the Edmonton organization. too early in the summer. will have to adjust. I think that will be hardest adjustment. you can play with skilled players. 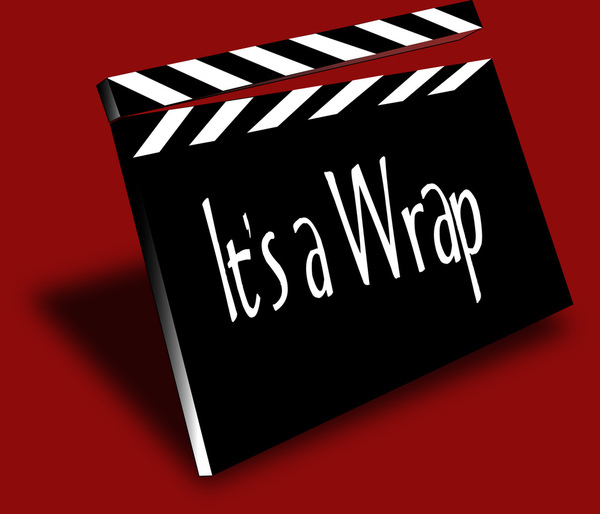 How did they enhance your game? they probably learned from me and it was a tremendous year. you to sign with the Canucks, the team that drafted him last year? and it wasn’t a big deal to him. some of my friends, but I think I have a new favourite team right now. was your favourite player growing up? you were sixteen or seventeen years old? schools and went on a few visits and I just fell in love with the college atmosphere. game. I think it was the right choice for myself. I got some tape of Caggiula and he is an agitator. He’s also very skilled. I spoke to numerous scouts and everyone of them felt he could step in and play next season. He turns 22 in June, so it’s not like he’s an 18 year old rookie out of junior. I’m curious to see how he looks in training camp. It took Marchand a few years to become a solid point producer, so no one should expect big numbers from Caggiula right away. I believe Marchand-like production is best-case scenario, but if Caggiula can step into the lineup and contribute similarly to how Andrew Shaw did in Chicago the Oilers would be happy. The simple fact he plays with an edge is a welcome change for me. For years the Oilers were a soft team and easy to play against. We saw that start to change last year, and Caggiula could add a dimension this team hasn’t had since in a long time: a skilled rat. 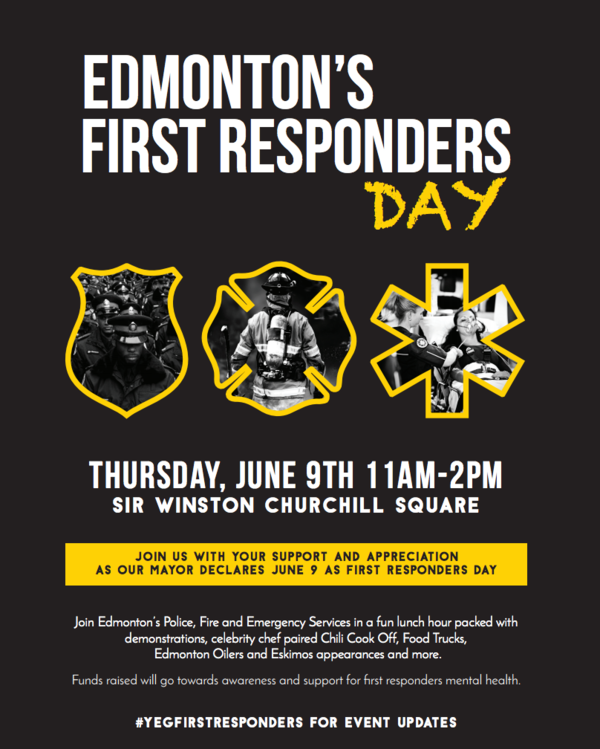 On June 9th, the City of Edmonton will be announcing the first annual First Responders Day in an effort to honour those that risk their lives to keep our city safe. First Responders Day will be an official day where we to honour, celebrate, and support the first responders and their families, in addition to raising mental health awareness within the occupation. The event will showcase dozens of large fire vehicles, bomb squad display, canine dogs, jaws of life demonstration, raffles, live music, chili-cook off and much more. If you would like to donate money to the cause there is a GoFundMe public campaign page for fundraising at www.gofundme.com/yegfirstresponders. Monies raised will be going to Legacy Place Society – as they wish to purchase a new house in Edmonton so they can better support all first responders and their families during times of crisis. Great interview as always Gregor. Thanks! Parise?!? I think your expectations are a little high. An Andrew Shaw would be good enough for me. Why is that a little high? Who are we to set limits? Parise was the 17th pick in 2003 (another memory of MA Poiliot). We are talking about an undrafted free agent here. These are the Drake’s idols, if you’re going to strive to resemble someone, it might as well be someone who is the pinnacle of what they do. Just to be clear. Yzerman and Sakic were his idols/favourite players. He models his game after Marchand and Parise. Feels he plays similar game to them. That being said, if we could acquire either an Andrew Shaw, or an Andrew Shaw clone, I would be a very happy oil fan. Yes, a guy that has not played one game in the NHL can be compared to The Rat. Not so sure Oilers have no agitator anymore. Kassian seems to get people heated. Maroon seems to mess with people (see taking Anaheim game puck). Maybe those are more coke machines than agitators, but the end result seems like the same. Also wasn’t Perron a player of this ilk? Having said all that, just watched this kid’s highlight reel, can’t wait to see if his skills translate. They aren’t rats. Mainly because they will back it up and fight regularly. A true rat doesn’t. He might once or twice, but he just agitates regularly. Marchand is a rat through and through. He even looks like a rat, it’s annoying just looking at him. He sure sounds responsible and with a good head on his shoulders. Looking forward to seeing his development. I’d be lying if I said I wasn’t hoping for him to turn out to be our own version of Gallagher or Marchand. “My gut and heart were telling me to go to Edmonton”…”Earn your spot”…” grew up cheering for the Maple Leafs …but I think I have a new favourite team right now”…so far I like The Drake. Love the article, love the kids responses and love that he plays with grit. My only fear is the hype machine that Oilers fans constantly feed into. Don’t expect a Marchand or even a Shaw for that matter. Let Drake develop into the player he is and keep the pressure off of him. We don’t need to over hype a prospect before seeing him skate in Copper and Blue. Hype City! Drake will be the best college developed player ever. He’ll run a college on developing college prospects and pass his success on to future collegiates. On a serious note, I don’t think fan hype will adversely affect Mr. Caggiula, just be leery if Chiarelli starts pumping his tires, telling the press he’s a Calder/Richard lock or something. We’ve all seen what lies down that road. Brad Marchand scored 0 goals and 1 assist in his first 20 NHL games. So all Drake has to do is get 1 assist in his first 20 games and we can expect a Marchand. The huge red flag on “The Drake” is simply that he didn’t put up big numbers in the NCAA until his senior season when he was put on a line with two 1st round draft picks: Brock Boeser (Van ’15) and Nick Schmaltz (Chi ’14). Maybe he defies the odds and is a useful NHL player, but perspective people. He looks like he has the skills to pay all proverbial bills. He’s a free asset for us (no draft pick or trade needed to acquire him) except for taking up a contract spot. If he becomes a pro at any level it’s a win. He led the team last year without Boeser, and Schmaltz didn’t get tonnes of Pts that year. Hope he turns out, I like the sounds of the Drake. Looks like he started from the bottom, now he’s here. Welcome. getting their presents. I don’t even like Drake. Jerry: You don’t like the Drake? Kramer: I *love* the Drake! I’m looking forward to meeting the Drakette! Elaine: I’m lukewarm about the Drakette. Kramer: Ooh, Isosceles. I love the name Isosceles. If I had a kid, I would name him Isosceles. Anyone have an idea on how this guy stacks up to Greg Chase? At first glance, it seems like they could both fill the agitating F with skill role. I know Chase went through the WHL to ECHL and bounced around between Norfolk and Bakersfield last season. Is it safe to say Caggiula is farther along as a prospect? Maybe they could slot in on a line next year in Bakersfield and really make life tough for the opposition. Any chance he makes it this year Gregor? Bozak peaked in his 20 year old Jr year and NCAA, and turned out pretty good. An effective Drake would be a great addition. I only saw him play twice. I liked his game. Four scouts I spoke to believe he could make jump this year and be 3rd line guy to start. He has a dimension the Oilers don’t have a lot of, so he’ll get a look. I believe he’ll play some games in Edmonton at some point during the seasons, but it depends what moves happen this summer if he’ll start the year with Oilers. Hoping the Drake gets his confidence early. He’d be a great addition on bottom 6 if he works out and trends in the right direction. Seems like guys like Korp and Letestu have maybe lost a step from their younger years. Decently skilled pests for cheap would be nice to have down there. Comparing himself to Parise , that I like. At least he is setting his sights high. the Drake was the MVP at his last tournament. Not bad for recent history! I like the deal: PC is sticking to his ‘aggressive edge playbook’ and got the Drake on a good signing. After reading the comments on the last few articles it appears as the summer kool-aid is starting to flow freely in Edmonton. Drake is a male duck . “Drakes are smaller than dragons , but still fly and breath fire , but have no magical powers . Basically , Drakes are evil .” Figuring out this acquisition is starting to drive me quackers . Jason, I don’t think Marchand-like production is “best case scenario” – Marchand had 37 goals this past year. That is almost an impossibility for this prospect. Lets just hope that he can turn in to an every day NHL player at some point – that would be exceeding expectations and, anything above a 3rd line role, would be absolute gravy. I refer you to comment #6 by Randaman. I’m impressed that you are the one to define this kids’ ceiling. I wonder a little if we ought to leave that to the kid and the organization dedicated to him reaching that ceiling, though. You’re right, of course, that it is unlikely he matches Marchand’s production, and that if he even reaches top 6 consistency it will be gravy, but the point remains – it’s pure speculation based upon uncertainties. As you say, he may not. On the other hand… that’s why they play the games. I saw his clips. Looks like a player to me, the question is how well he translates his game to the pros. Looks quick. Skilled. Can pick his spots and shoot quickly on the fly. Wicked backhand. Dekes. (In clips I saw, he pulled same move through the D-man skates several times; that MIGHT work once in the NHL, so he’s going to have to up his arsenal of moves.) Willing combatant. Hits. Strong defensively (according to sources). Sounds like he’s excited about the challenge, and all of that combined with his annoying pitbull style – we love our prospects in Edmonton because we believe in potential. This young man looks to have plenty, so I’ll cool my jets when I see him not get up after being drilled by Doughty. Until then, I think he’s a great signing. You are afraid of saying so because so many before him have disappointed you. That’s not this kids’ fault. Get over it. Pakarinen is one of McLellan’s favorites, and he came from nowhere, too. On another note, the nickname thing… I thought Dragula or some variation might have caught on by now, but I guess its pronounced as ‘jewel’ as opposed to ‘gula’. Made sense when looking at the spelling, no big deal. The Drake…..is that the same as “the Jimmy” from Seinfeld?